and experience to treat all musculoskeletal injuries. Metro Physical & Aquatic Therapy is a leading provider of Occupational Therapy in Garden City, NY. Occupational therapy services may include comprehensive evaluations of the client’s home and other environments (e.g., workplace, school), recommendations for adaptive equipment and training in its use, and guidance and education for family members and caregivers. Occupational therapy practitioners have a holistic perspective, in which the focus is on adapting the environment to fit the person, and the person is an integral part of the therapy team. their daily activities thanks to METRO Physical & Aquatic Therapy Garden City. 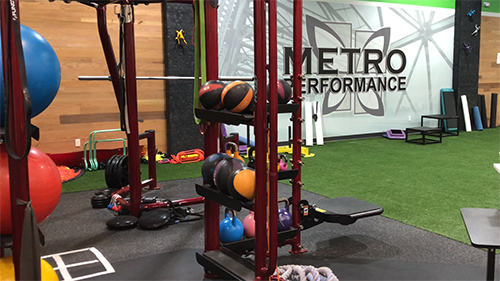 Metro Physical Therapy's Garden City location has a comprehensive Women's Health and Pelvic Pain Center. Sherrie Glasser, Co-Director and Owner of Metro Physical Therapy has been practicing in pelvic floor PT for over 30 years. We take an extensive comprehensive approach to evaluating pelvic floor dysfunction including a full history, orthopedic, neurological, myofascial, soft tissue, trigger point and a full pelvic floor examination. Metro's Garden City pediatric physical therapy deals with a wide variety of problems that may affect your child's development from infancy through the teen years. Our goal is to ensure that your child's physical capabilities for everyday activities are the best that they can be. Our Garden City therapists (experienced in treating torticollis and plagiocephally) work closely with the child and his/her caregiver to prevent this from happening. We work on passive stretching, therapeutic exercises, positioning, and proper motor development. Our Garden City Physical Therapist are specially trained to detect and treat balance problems caused by neurologic and orthopedic problems as well as inner ear or vestibular disorders. Balance problems can be caused by lower extremity (legs, feet and ankles) deconditioning, weakness and peripheral neuropathies, including diabetic neuropathy. Manual Lymphatic Drainage(MLD) is administered through a series of strokes applied to the body with intention to stimulate the movement of the lymphatic fluid in order to assist the body in cleansing. It is a very gentle rhythmic technique that cleanses the connective tissue of inflammatory materials and toxins, reduces swelling, enhances the activity of the immune system, reduces pain, and lowers the activity of the sympathetic nervous system. Predominantly used as a treatment for lymphedema, MLD offers many health benefits and uses. MLD can also be used as a detoxification treatment and may help decrease the appearance of cellulite, abdominal bloating, and can help reduce post-surgical swelling from orthopedic or cosmetic surgery. 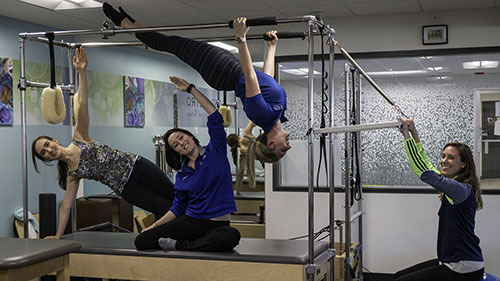 At Metro Physical and Aquatic Therapy Garden City we offer, Pilates Rehabilitation, covered by most insurance plans, for those with current injuries and for those who are trying to prevent future injury. We view the body as a finely tuned, integrated system requiring balance, mobility and strength to enable it to perform at it’s best. We will teach you to move correctly in order to replace your pain, stiffness and restrictions with effortless movement. Temporomandibular Disorder (TMD) is a broad term that encompasses disorders of the temporomandibular joint and its associated anatomical structures. The disorder may be intra-articular, due to inflammation, internal structural changes (internal derangement) or degeneration, or it may be extra- articular due to imbalance or over-activity of the jaw muscles, commonly the muscles of mastication or the cervical muscles. Non-invasive, conservative treatments have found to be effective for the treatment of TMD and facial pain. Metro’s evidence based and state-of-the-art treatments are very effective in relieving and managing TMD. Even when the symptoms are long-standing and severe, we have self-managing tips we will share with you to help with your symptoms. With appropriate physical therapy, most patients will see a significant improvement in their symptoms within 3 to 6 weeks.